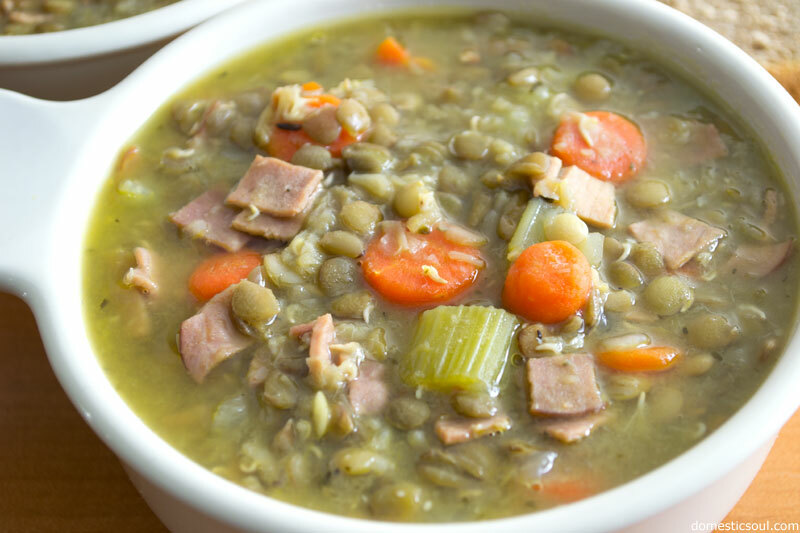 In my post on how to sprout lentils, I promised a recipe for a delicious sprouted lentil soup – and here we have it. 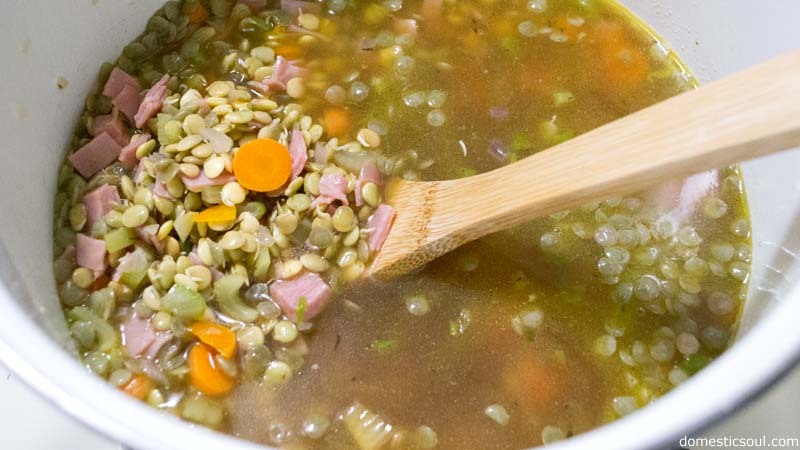 This Sprouted Lentil Soup is hearty and filling, but not nearly as heavy as a stick-to-your-ribs stew that you might want, say, mid-winter while you’re snuggled on the couch under that wool afghan your great grandmother made. 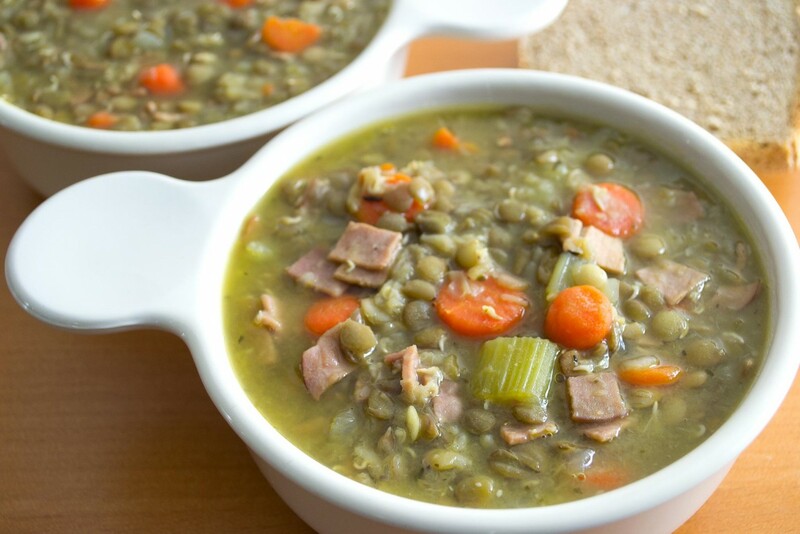 I think this soup is perfect for those gorgeous fall days where there is just a hint of crisp to the air and you want just a touch of warm and comforting. This recipe makes a big batch, so it’s great if you’re looking to have leftovers you can use as lunch the next day. Reheated after a night in the fridge, it still tastes just as good. It’s also gluten free and dairy free, so if you’re looking to feed a large group that includes some folks with food allergies, this might be just the recipe for you. Step 1: Add cooking oil of your choice to a large pot – enough to coat the bottom. 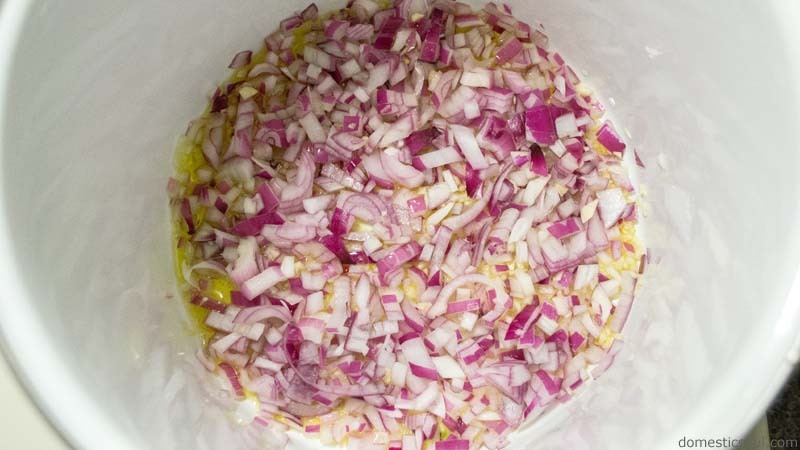 Add onions and garlic to the pot and cook on medium heat for a few minutes until the onions become translucent. Step 2: Add celery, carrots, thyme, salt and pepper. Cover and cook until the vegetables soften a bit. Step 3: Add ham or turkey, lentils, and beef broth. Cover and simmer on medium-low for about 45 minutes. Step 4: Once it’s done simmering, serve and enjoy! Add cooking oil of your choice to a large pot - enough to coat the bottom. Add onions and garlic to the pot and cook on medium heat for a few minutes until the onions become translucent. 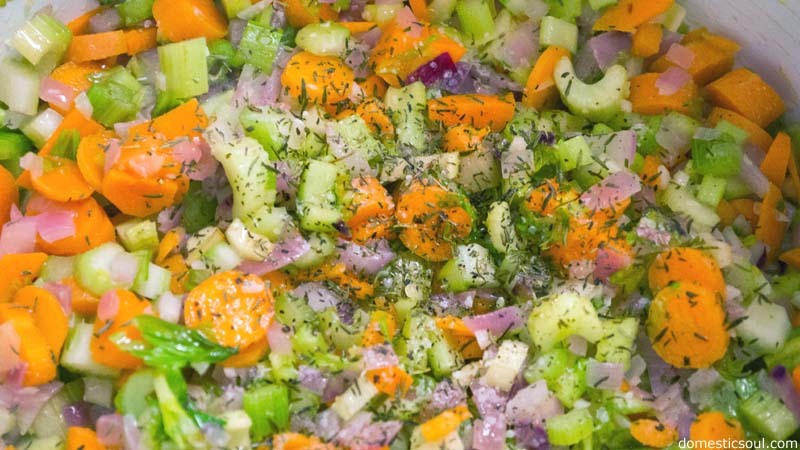 Add celery, carrots, thyme, salt and pepper. Cover and cook until the vegetables soften a bit. Add ham, lentils, and beef broth. Cover and simmer on medium-low for about 45 minutes. Once it’s done simmering, serve and enjoy!